Here are the rare fingerguards for the Sten Mark II models. 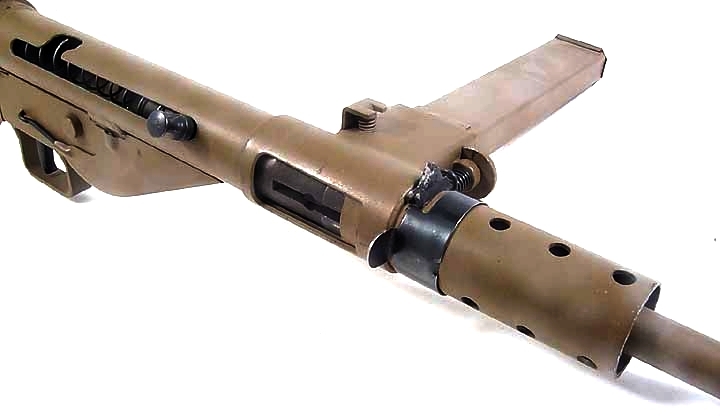 They were standard issue for all Canadian Long Branch Sten Mark IIs and were also accessories for British Sten Mark IIs. They'll also fit the Mark 5 Sten. These babies are RARE and I don't believe you can find them anywhere else. I have the fingerguards in the original unopened boxes and they're wrapped in paper inside and covered in cosmolene. All the boxes are Canadian and are dated 1963. Sorry, now completely sold out. Update 4/15/04: A buddy of mine still has some. Contact George at email: gbsquirt@mindspring.com since he's still got a bunch I sold him a couple years ago. If you want them newer you'll have to make them yourself! 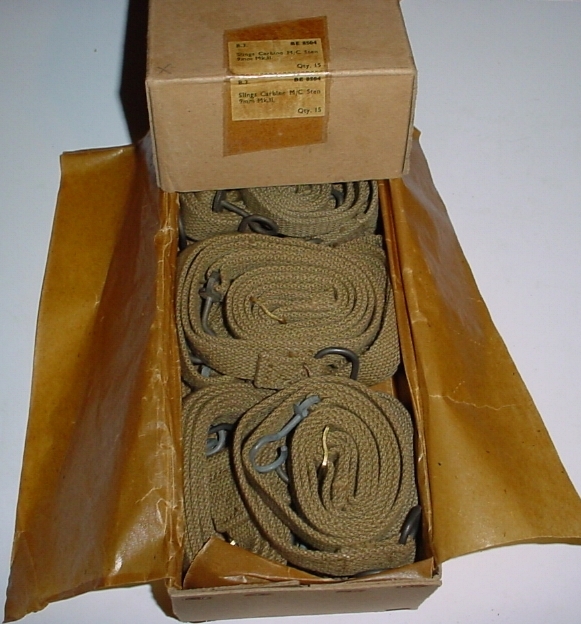 These are original British web slings for all Sten marks. Each is in new, unissued condition and have not seen the light of day in over fifty years. I received these in original British parts boxes with 20 slings in each box. Each box was unopened and now I'm making them available for you. It just doesn't get any better than these!